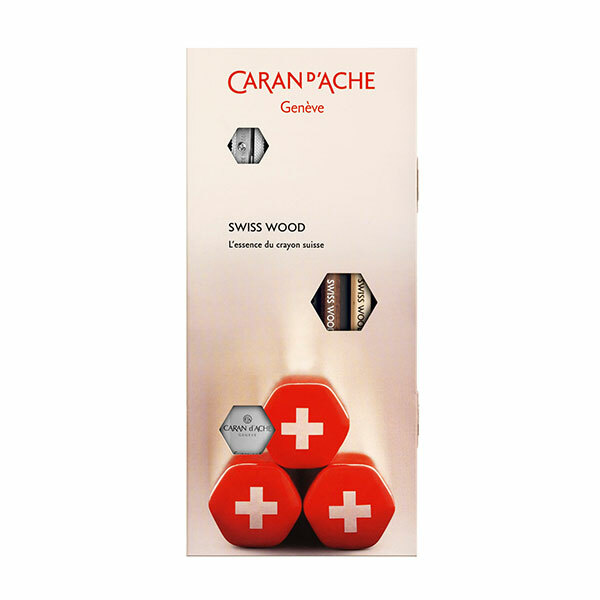 To celebrate the beauty of Swiss forests, Caran d’Ache brought the two versions of SWISS WOOD, with one of them completely new, in a gift set. 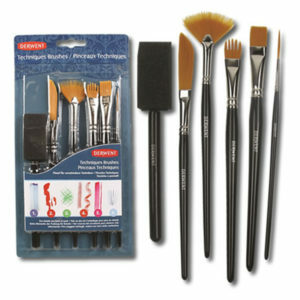 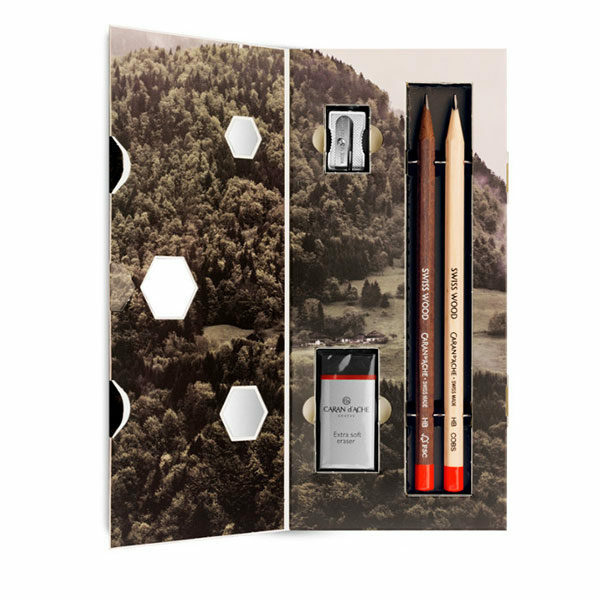 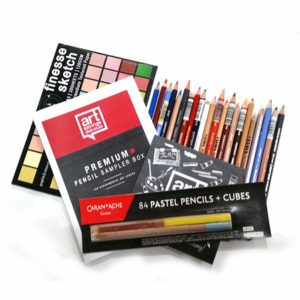 Consisting of 2 pencils made from the Swiss pine forest of Grächen and the Glovelier beech and completed with an eraser and a sharpener, this Swiss Wood gift set encapsulates the aesthetics that nature has to offer. 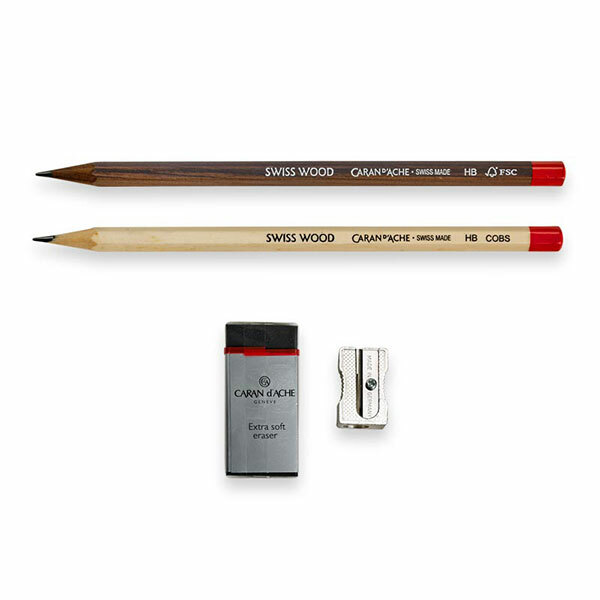 This limited edition range is Swiss Made down to the heart of the wood, originating from the traditional craftsmanship of Caran d’Ache’s Geneva workshops. 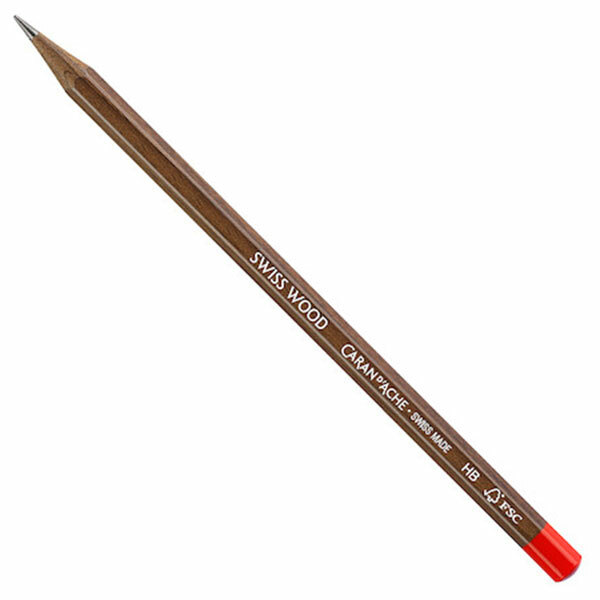 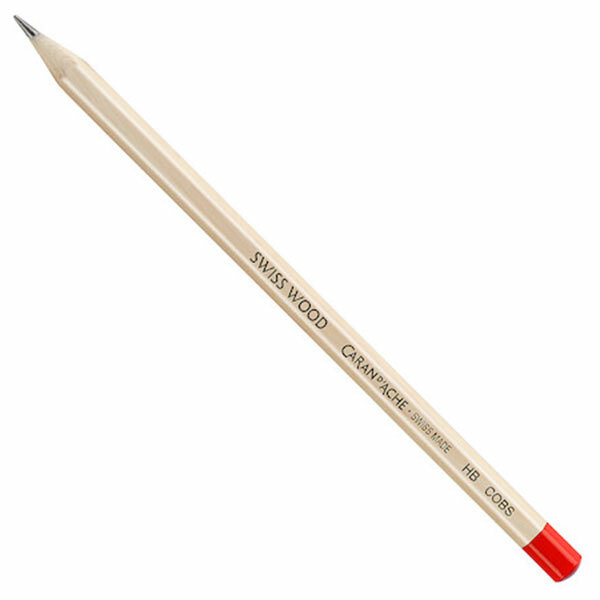 Content: 1 graphite pencil SWISS WOOD made from beech wood, 1 graphite pencil SWISS WOOD made from pine wood, 1 extra-soft eraser, 1 metal sharpener.